You may register for Religious Education online or by printing the paper forms, filling them out, and returning them to the parish office. Registration forms are also available in the parish office. Contact Laura Miller, Christian Formation Registrar, 794-0222, ext. 11, with questions. Sunday Classes: 9/23, 9/30, 10/7, 10/14, 10/21, 11/11, 11/18, 11/25, 12/2, 12/9, 1/27, 2/3, 2/10, 2/17, 2/24, 3/3, 3/10, 3/24, 4/7, 4/14. Monday Classes: 9/24, 10/1, 10/8, 10/14, 10/22, 11/12, 11/19, 11/26, 12/3, 12/10, 1/28, 2/4, 2/11, 2/18, 2/25, 3/4, 3/11, 3/18, 3/25, 4/15. Epiphany provides a comprehensive religious education program for children in grades K through 5. Parents and other interested adults are invited to participate as teachers and aides for every shift and program. Elementary classes meet on Sunday morning, and on Monday afternoon and evening. Training and support are provided. Epiphany offers CLW to children ages 5 - 5th grade Oct. - May during the Sunday Morning Masses. The children are dismissed from Mass and go to Room 122 where they hear that weekend's readings and participate in the responses from a children's lectionary. The leader shares a short homily with the children and we conclude with a related activity. Children return to the church after the Prayers of the Faithful. Adult leaders and adult and youth helpers are needed. The commitment is just 1 Mass per month. 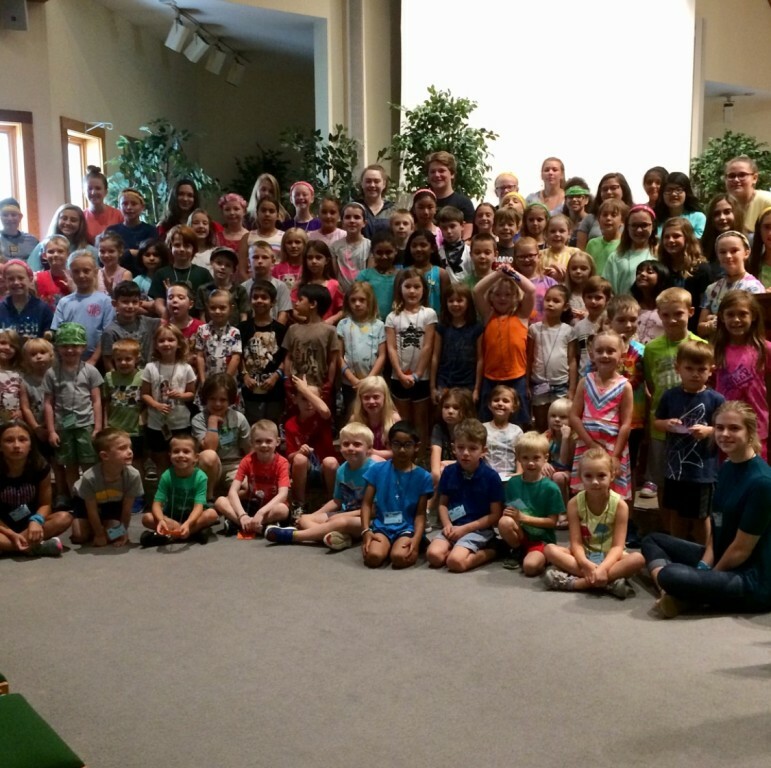 Vacation Bible School is a summer formation program of music, games, crafts and Bible stories for children preschool through 5th grade. Volunteer opportunities for youth grades 6 -12 and adults are available. Kiddie Club is a faith-filled experience for children ages 1 - 4 years, their parents and families. Come and enjoy Bible stories, crafts, music, and activities that touch on topics such as prayer, church traditions, sacraments, and simply living your faith with your children.Kiddie Club is an opportunity for families with preschoolers to meet and interact with each other, and for us at Epiphany to support you in being the primary catechist to the youngest members of your family.